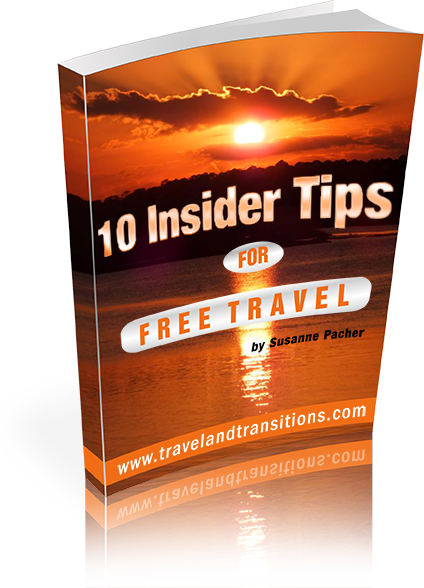 Our Puerto Vallarta Food Tour continued. After an interesting culinary walk through the city’s Zona Romantica we crossed the Cuale River on a swaying wooden bridge to get to Isla Cuale, an island inside the river that is full of souvenir stands selling t-shirts, ceramics and other Mexican handicrafts. 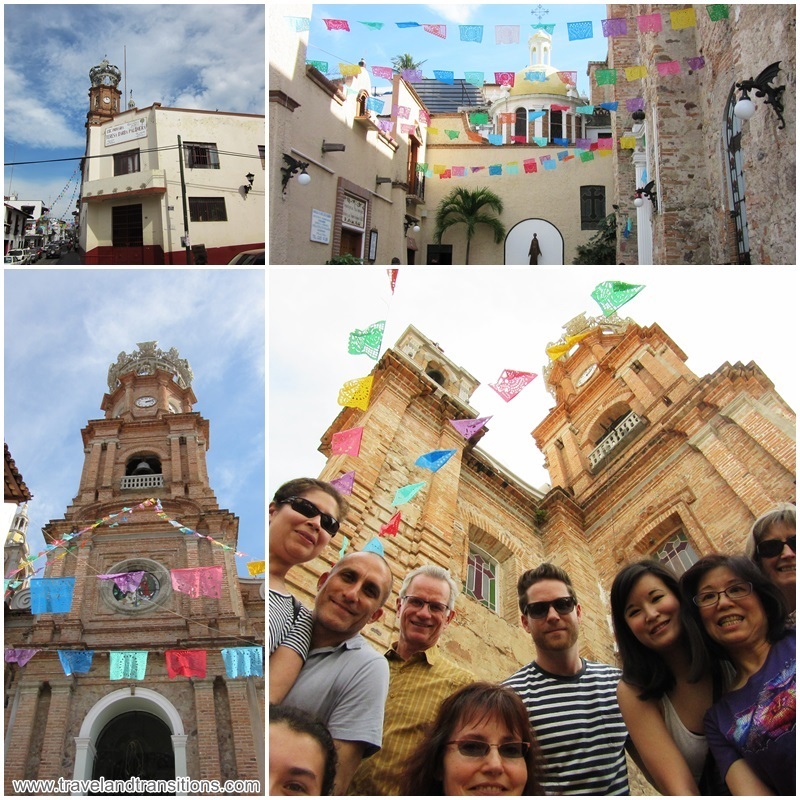 After crossing a second wood bridge we arrived on Calle Matamoros in Colonia Centro, Puerto Vallarta’s historic centre. We walked by the Mercado Municipal Rio Cuale, a large indoor flea market that encompasses an entire city block. We then turned west and arrived in front of the main façade of the Church of Our Lady of Guadalupe, the city’s famous icon. Topped with a copper crown, this church is the beloved symbol of Puerto Vallarta. The creation of this unmistakable structure took some time: construction was started in 1903 around a small chapel that was already there. The main tower was not completed until 1952, and the original crown of the church was only installed in 1996. It is said that the crown resembles a tiara that was worn by a mistress of Emperor Maximillian in the 1800. Our expert guide Ricardo patiently took photos as everyone in our group handed him a camera to be immortalized in front of this iconic structure. Then he took group pictures of us together, a nice memory of an interesting day, all part of the Puerto Vallarta food tour. Now that we were all duly documented we walked west to the “zocalo”, the main square of the city, with its beautiful old bandstand that is framed by palm trees. Here was the next stop on our food tour: “Tuba by Concepcion”. Tuba water originally hails from the Philippines and consists of slightly fermented palm tree sap that is sweetened with honey and enhanced with apples and pecans. We all got to taste a cup and found the drink very refreshing. And the gentleman who was selling this mouth-watering drink was styling with his white hat and mirrored shades. He is one of a kind and a fixture of downtown Puerto Vallarta. After this nice refreshment we walked westwards to a local restaurant called Gaby’s where we went all the way to the back to sit down inside a cozy courtyard. Gaby’s Restaurant is a family-owned eatery that has been around since 1989. It is known for its Mexican classics and its daily “comida corrida” (a fixed price menu with soup, a main dish and agua fresco). The waiter arrived with a large tray full of shooters and all of us received three small glasses with one yellowish, one clear and one red drink. Following Ricardo’s instructions, we downed the lime juice, followed it up with tequila and finished this ritual with sangrita, a non-alcoholic drink that contains orange, lime and tomato juice, Maggi, Worcester and Tabasco sauces, salt and pepper. Then we tasted the main dish: chicken enchiladas, covered by two different types of mole: green mole and mole poblano. Ricardo explained that green mole is a rich and heavy sauce from Mexico City. With a tomatillo (green tomato) base, it contains ground pipian, ground coriander and toasted pumpkin seeds. The brown mole is mole poblano, originally from the city of Puebla, and contains chocolate as one of the main ingredients. Mole is a word from the Nahuatl language that means “concoction” and refers to a sauce that includes 32 ingredients that are roasted and ground into a fine spice, a very labour-intensive process. 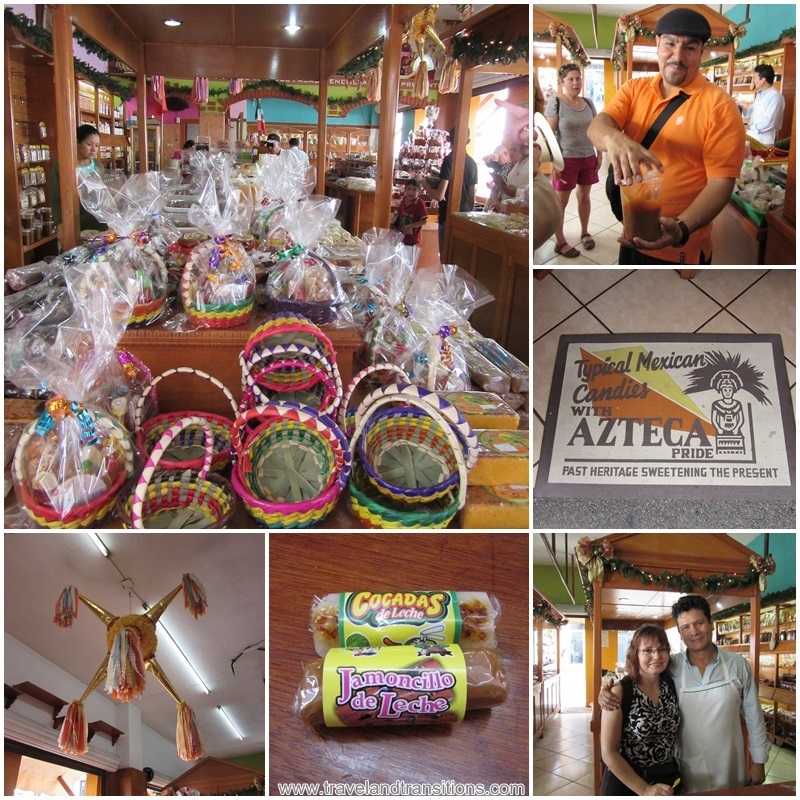 The last stop on our Puerto Vallarta food tour was at Orgullo Azteca, a candy store that specializes in traditional Mexican sweets. We got to taste a variety of confections including some delicious caramelized nuts. Ricardo pointed out the owner and said “Here is the Mexican Patrick Swayze”, and indeed, Geraldo Leal, the owner, looked exactly like the famous American actor, only with a thick black head of hair. I promptly got my picture taken with the Mexican Patrick Swayze. 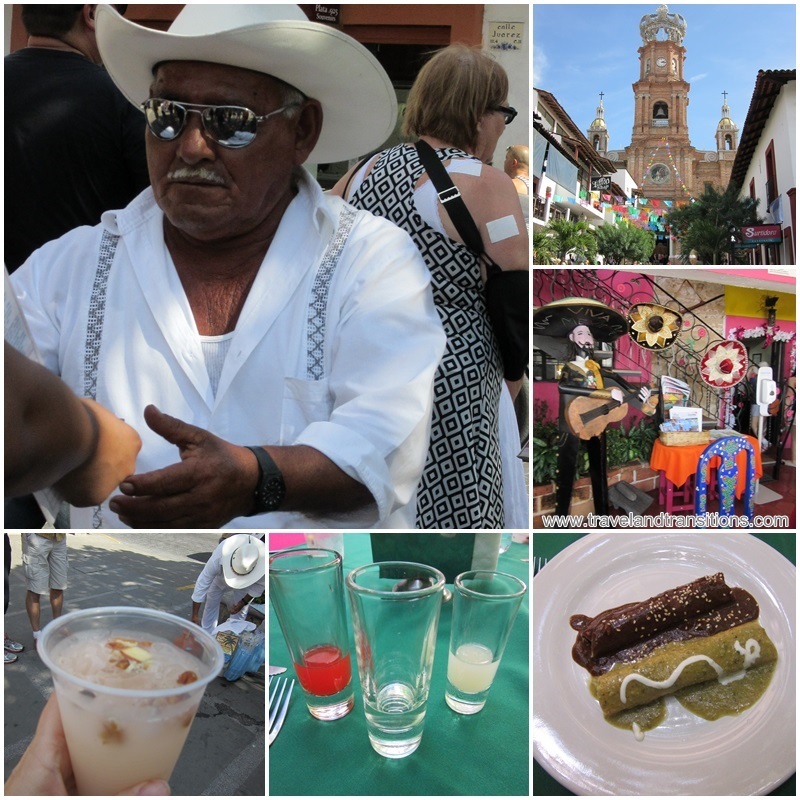 It was almost mid-afternoon by now and after this entertaining and informative walking tour it was time for me to explore more of downtown Puerto Vallarta and to work off some of the calories I had so deliciously consumed during our culinary explorations.